STEVEN TYLER TALKS AEROSMITH FAREWELL TOUR, AND DENIES BAND BREAK UP RUMORS. Aerosmith frontman Steven Tyler recently phoned in to Howard Stern’s radio show to promote his new solo album. The album is titled, “We’re All Somebody From Somewhere.” The album features singles, “Love Is Your Name,” and “Red White and You.” Tyler’s album is set for release on July 15th. Stern got Tyler talking about recent Aerosmith break-up rumors. Eventually, Tyler revealed to Stern, “We’re doing a farewell tour, but only because it’s time.” Tyler’s remark was met with audible gasps from Stern and crew. You can listen to Tyler's radio interview with Howard Stern here. 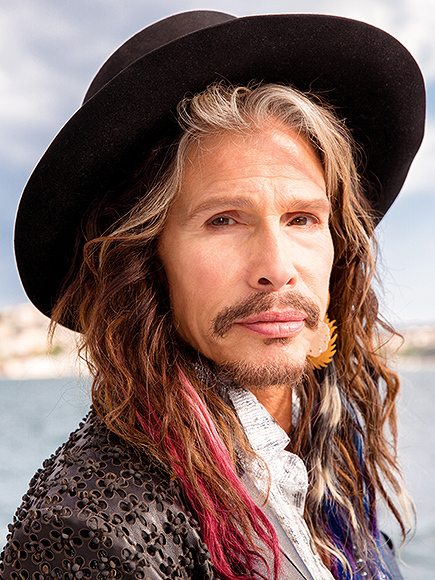 THE WANNA Show recently interviewed Steven Tyler about his charity, Janie's Fund. Be sure to check out the video here. TONIGHT! JOIN ALEC, BILLY BALDWIN & HUNDREDS OF VIP'S IN THEIR FIGHT AGAINST CANCER!